The year was 2002, I was four years into my career as a web developer and I saw everything in HTML markup and Hexadecimal color codes. I had springboarded myself from working at OGERO the localstate-run fixed-telephony operator towards Cellis, France Telecom's burgeoning mobile operator in Lebanon (currently rebranded as Alfa). I was the first web developer to join the company. Although my job offered me the chance to work on various challenging projects, it was just not enough to satisfy my hunger for more challenges. On top of that, my employment conditions had taken an unexpected turn to the worse and this incited me towards wanting to build something independently from my day job. An idea that would potentially allow me to run my own show without having to report to individuals who were, at the time, much less informed about the business of the web. At that same period, a tiny street in Beirut was becoming the hottest spot in town, where all the club, pubs and cafes were opening up. Monot Street was where nightlife happened. Unlike myself, Chris, a childhood friend of mine was an aficionado of the Beirut night life and It only took us one discussion and the idea was born: www.monotstreet.com a website/portal dedicated to Beirut's nightlife. We were going to go all digital on a city that still lacked DSL internet, in a country where in many houses echoed still the distinct whizzing of the dial-up modem handshake; but we did not care. Chris would be in charge of the field operations and I would handle all the digital aspects of the projects. The Music section contained a directory of DJs who worked in Monot along with a weekly top 10 of the tracks being requested the most by clients of the establishments on the street. The interactive section contained a Chat Room and a Forum where people would be welcome to interact and exchange ideas. It also contained a poll that was intended to help us enhance our features further. At one point we had also partnered with Vibe Lebanon, the first Lebanese online radio. Daily Horoscopes were provided and updated automatically through a provider in Italy. Upon launching the website we quickly gained momentum in spite of a competitor launching shortly afterwards. Although they were quite dynamic on the field, they were outclassed by our website build quality and our premium domain names (monotstreet.com & ruemonot.com). We made sure to cover all events such as Fete De La Musique and became familiar with the Monot scene. All we needed was to start bringing in some revenue. We had set out to ensure revenue by proposing premium listing subscriptions to venue owners. The premium listing offered them several perks such as increased coverage, prime location in the directory and on the homepage, newsletter and forum mentions and preferential recommendation in the Party Planner section. We soon realized this was not going to work, as only a handful of locations opted for premium. We had omitted to analyse the profile of the average venue owner and their understanding of what we were proposing. Many of the owners had converted into this business from non-related activities and did not really understand why they would pay a subscription fee (even a small one), since, anyway, their shops were always full and money was pouring-in like crazy. We fell back onto plan B. It involved eliminating the premium subscription fee and relying instead on making the site popular enough, so that we could sell on-site advertising and ensure some form of revenue from all the efforts being poured into this venture. This approach soon proved itself also insufficient. Neither online nor offline we could build enough momentum nor find a market for advertisers. Club owners were un-cooperative even when we gave freebies and would not help us promote the site even if this would eventually help them highlight their own businesses. We hung on to the project for several months before eventually giving up and calling it quits effectively abandoning all efforts in maintaining the website. 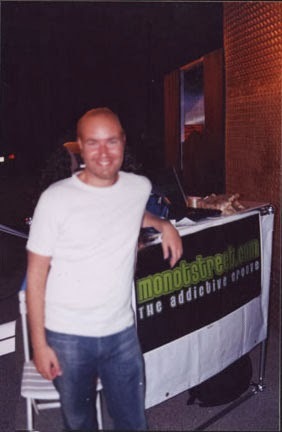 Writing this post 11 years after MonotStreet.com went live has given me some perspective (on top of a lot of market experience). At the time, we had attributed our failure to the negative and dismissive attitude that often characterizes the Lebanese society especially when dealing with club owners. We also wondered if we needed to have built some more features into the website. We didn't! As far as blaming other stakeholders for not being able to push the service effectively, we were only half-right. Yes, we had trouble dealing with some people, but we also had trouble marketing to the end user. Getting the word out, familiarizing people with the portal, making it a daily go-to online destination was simply not possible at the time. A deadly mix of weak internet market penetration, slow connection speeds and mobile internet limited to WAP had dealt the coup de grace to our project in 2004. Today, many similar concepts exist and thrive. They do because the ecosystem has changed, a new accelerator has been added to the formula. This new ingredient that has spiced up the mix in a way that allows to compensate for many of the issues that we could not surmount 11 years ago is called (yes you guessed it): Social Media Marketing. The existence of Facebook, Twitter and various other channels has made users spend more online time and familiarized them with the power and convenience of digital. Website owners can now run effective targeted ads to maximize awareness on their product and can push their content into these channels for optimized viral reach. In a world of fast changing technological landscape, we are often warned that we need to anticipate things and move fast enough, yet somehow, moving too fast and anticipating too early was exactly what caused the downfall of MonotStreet.com. The End. "We Are Pleased and Honored..."
"We Are All Born Mad..."